Purchasing fish can be a confusing and overwhelming experience, especially for the first time fish-buyer. Which fish can live together? 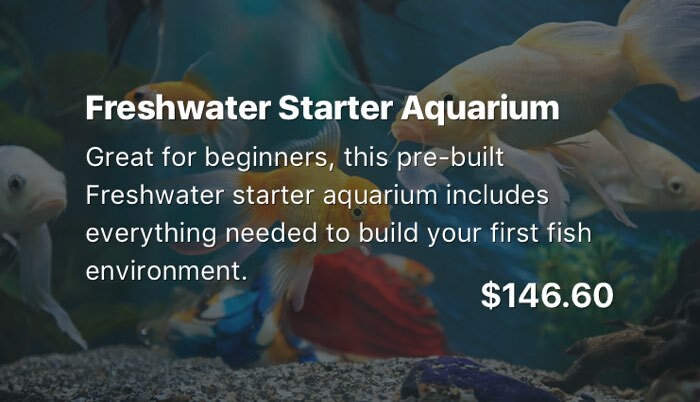 Should I start with a saltwater or a freshwater aquarium? What size of tank do I need? Decoding out-dated pet store pamphlets or hours of online research were the only way to build your aquarium. That’s where Codera comes to the rescue. 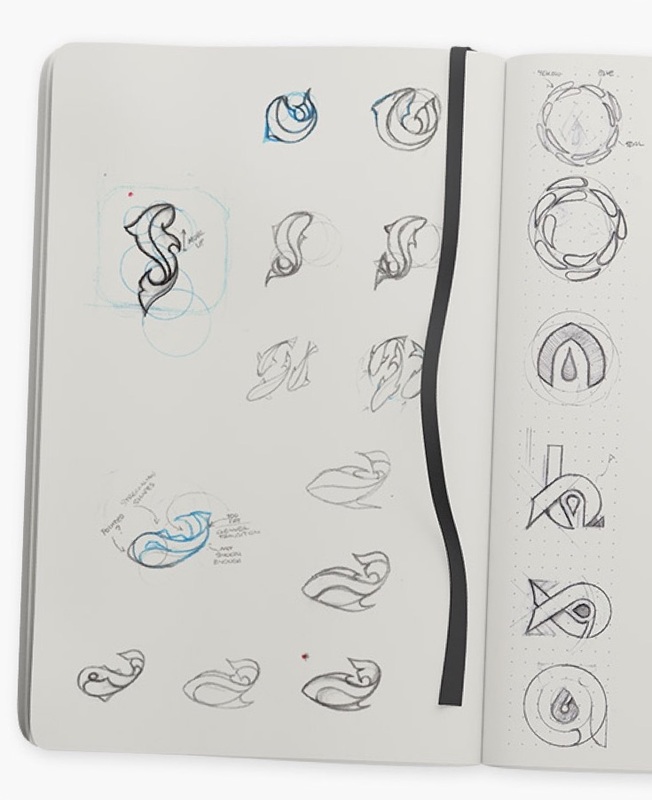 Codera was first tasked with the creating a name. 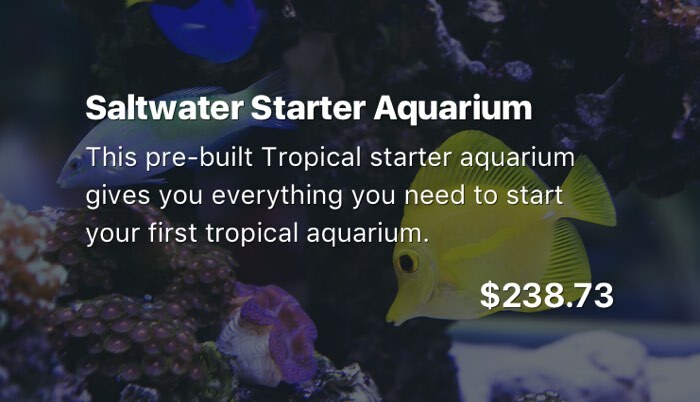 After dozens of exploratory names, AquaBuildr was chosen to express the ability to build an aquarium easily. With a firm belief in the importance of a bullet-proof identity we explored a variety of executions to best represent AquaBuildr to the world. Before any pixels were pushed to the screen, the Codera team laid out a clear roadmap of the app to establish its functionality. This also ensured no important features were forgotten. To develop a comprehensive yet user-friendly fish pairing app, Codera researched the target market and use cases to understand the user. Our research led us to focus on a powerful iPad app for in-store use. 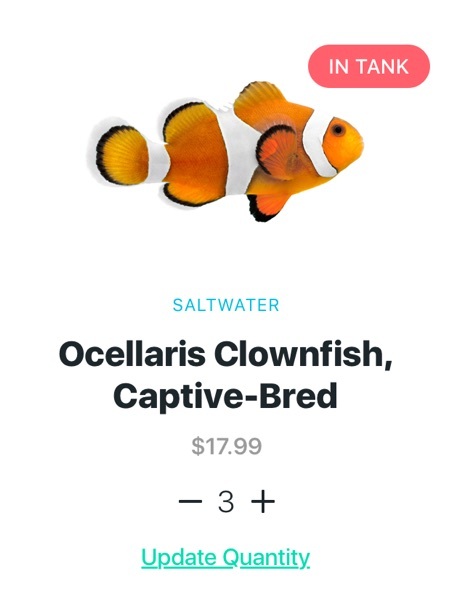 The MVP product focused on helping walk-in pet store customers find and pair the right fish for their specific needs. 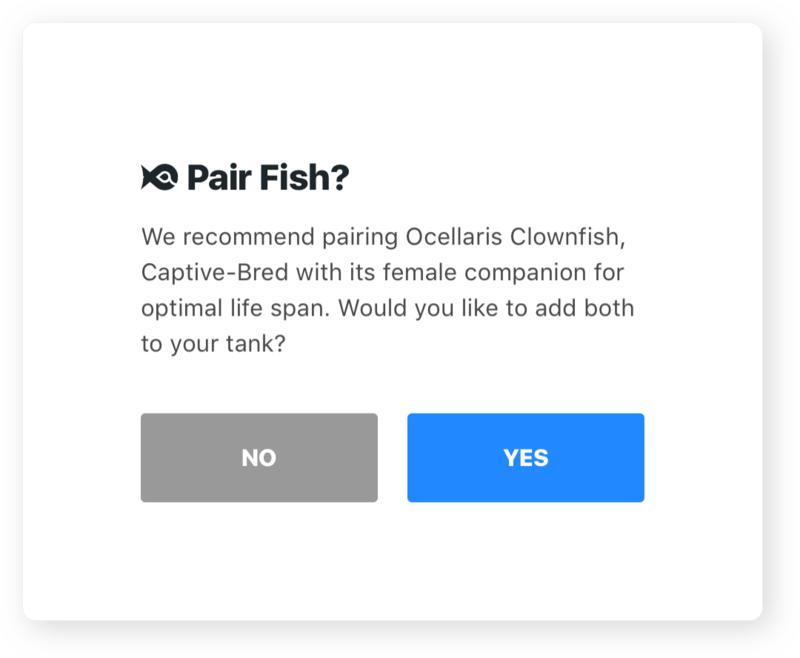 The solution is a simple interface that helps new and existing fish hobbyists select and pair fish that coexist in the same environment. 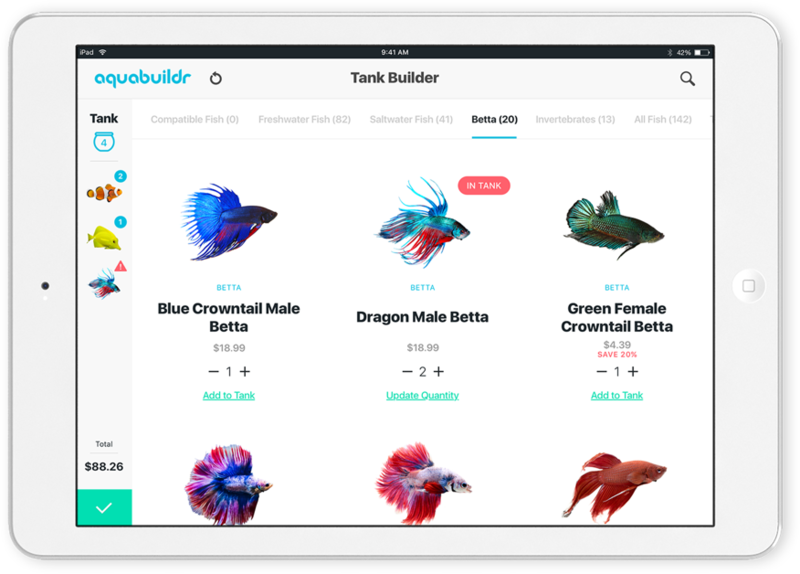 Knowing that each customer has different goals in mind, Aquabuildr was designed to assist both customer types in readily purchasing their desired fish. 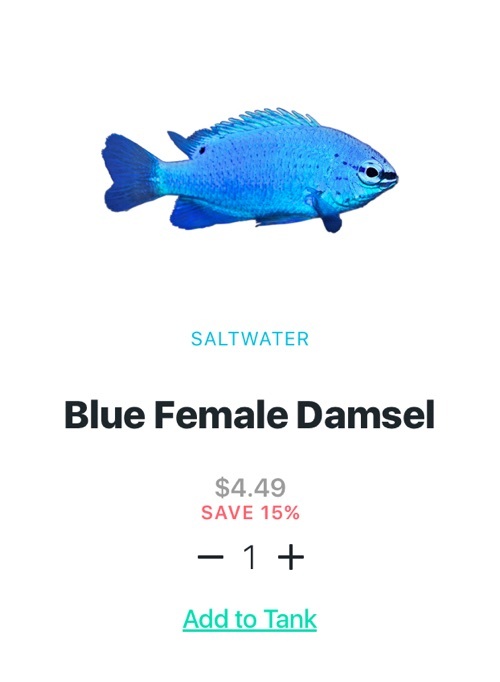 We approached compatibility by immediately displaying compatible fish the moment a fish is selected for purchase. No research or effort required. 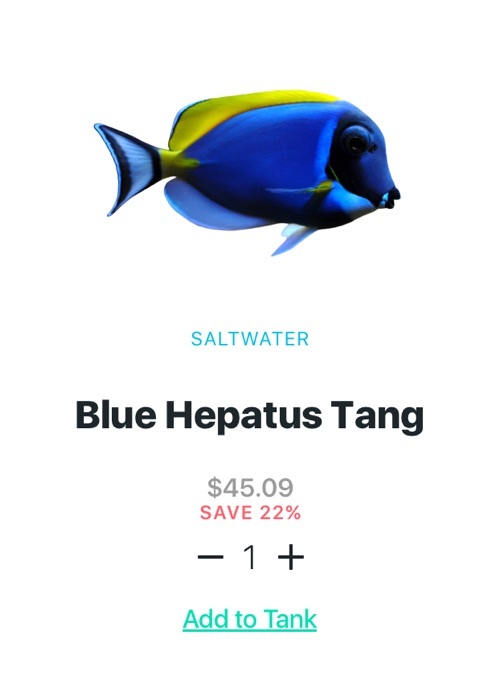 Each fish is unique and has particular requirements and considerations. 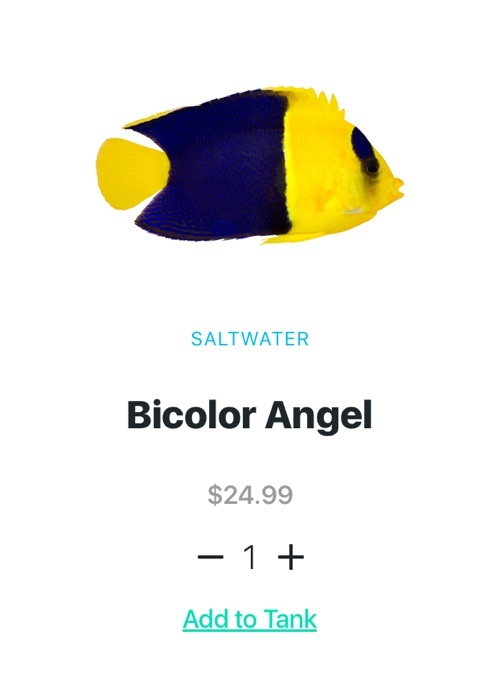 Codera built custom messaging that allows each fish to have it’s own suggestion or notice to educate and assist customers in their buying decisions. 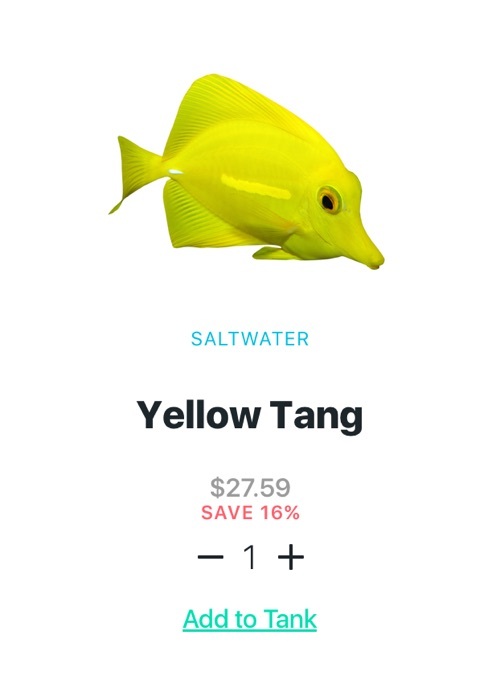 To avoid inhibiting customers from purchasing fish intended for multiple tanks, Aquabuildr was designed with warning notifications to ensure customers are aware of problematic fish combinations. This reduces fish deaths caused by uninformed first time fish owners, while allowing knowledgeable fish hobbyist to purchase fish for multiple aquariums. 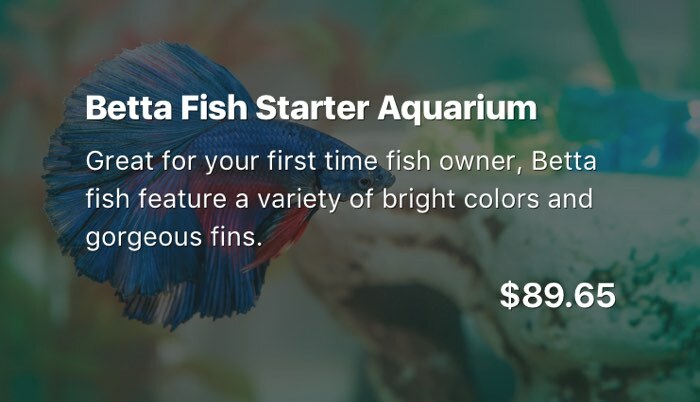 Knowing that not every customer has the time to invest creating their very own custom aquarium, Codera designed a location for pre-built startup kits to be featured for those customers that wanted a hassle-free way to add an aquarium to their home. Working with Codera has changed my life forever. They not only helped my startup succeed but were there every step of the way to coach and mentor me (which wasn't included in the contract.) They go the extra mile and care about the PERSON they're working with more than the JOB. They are the epitome of selflessness, professionalism and accountability. I will forever appreciate them. 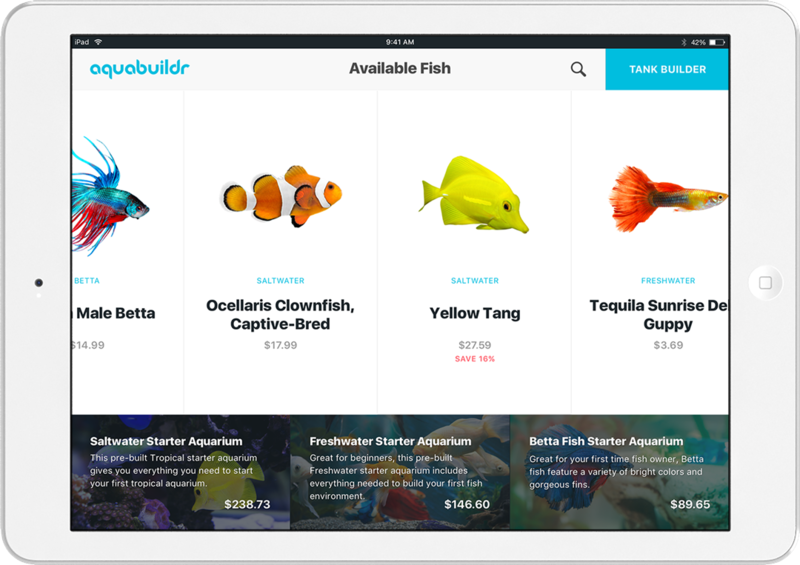 Where other companies might just build a mobile app for consumer use on personal devices, Codera targeted the highest value by designing a kiosk based iPad app placed in pet stores nationwide. This brings greater value to the walk-in customer through an educational purchasing experience and increases sales for pet stores. Understanding a kiosk’s place in a busy in-store environment, Codera designed a beautiful welcome screen that instantly captures customer interest and allows immediate use of the product. Kiosks that are hard to navigate will quickly frustrate a customer who feels lost in a maze of screens and menus. A kiosk being used for the first time requires a simple navigation with limited screens. Codera focused on minimal menu options and screen changes by building a game-style ‘Tank Builder’ that encompasses as much app functionality as possible in one screen. Customers will often experiment with kiosks out of curiosity alone, which means kiosks need a way to ‘reset’ to the welcome screen to invite new users. 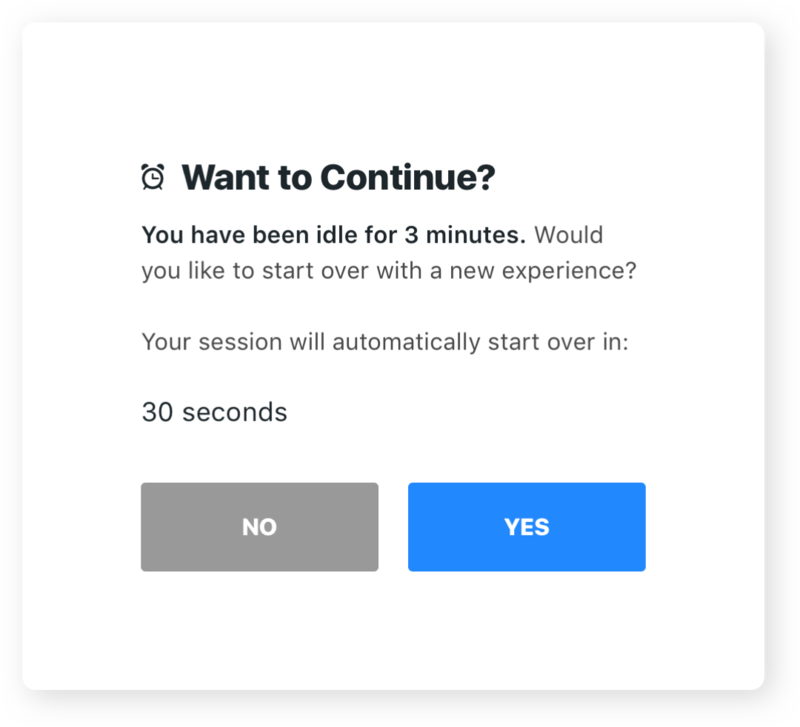 The AquaBuildr app was designed with both a reset feature and a time-out function to allow new users to reset the app while also preventing frustration from unwanted data loss. Customers can place their order in app and have it immediately fulfilled by a staff member. This prevents the dreaded ‘abandoned cart’ (or abandoned tank as we call it) and helps close impulse purchases. While waiting for their order to be assembled, customers can also peruse additional items to be purchased such as; tanks, decorations or other pet care items. AquaBuildr kiosks reduce employee costs while also increasing sales. We call that a ‘win-win’! AquaBuildr eliminates the confusing and painstaking process of building an aquarium. 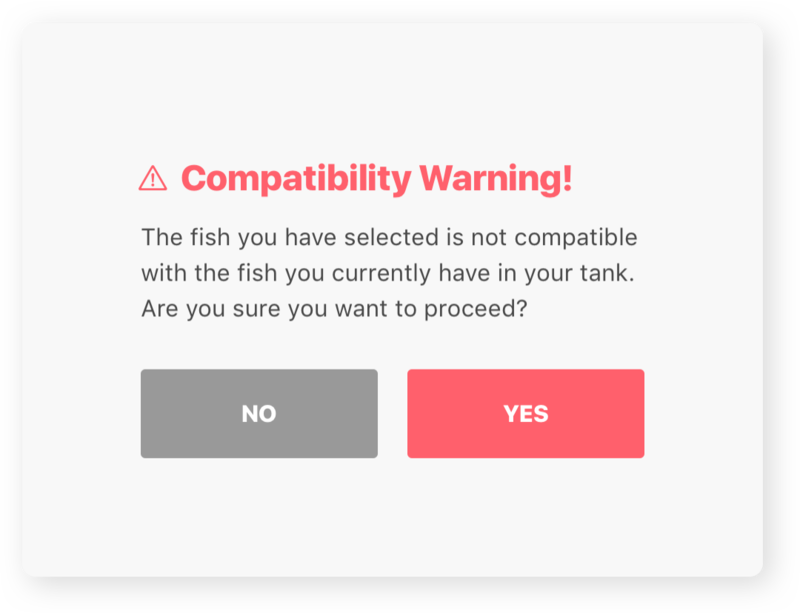 With powerful compatibility intelligence, fish pairing is now effortless and even enjoyable. Mindfully placed warning and instructional popups make the process educational and informative. 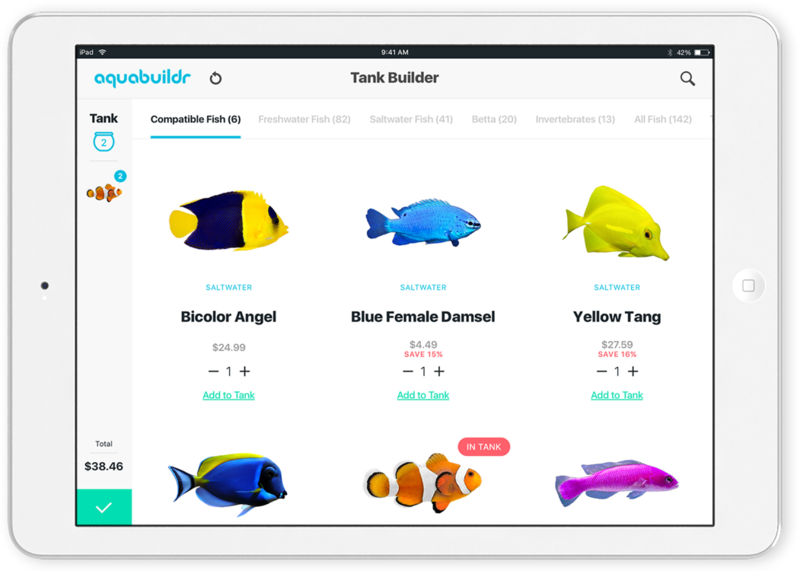 Providing a compelling solution to real world problems, the AquaBuildr app reduces employee training expenses, cuts time spent assisting customers, and decreases management headaches. Most importantly, the app significantly increases fish sales and reduces returns and warranty issues for pet stores. Are you a pet store facility interested in getting an AquaBuildr kiosk in your store. Request a demo today. Codera LLC | Copyright © 2016. All rights reserved.